While I was pregnant, my husband and I decided that we wanted to try cloth diapers (CD). Just saying it sounded dirty and like hard work. However, we knew it would save us money, be better for our baby, and help the environment. Having said that… we were all in! We started doing some research on cloth diapers and how they actually work. To this day (a week into it) I’m still not sure we’re doing everything right. My husband is an avid Craigslist searcher; always on the look out for a good deal. He found an add for a local yard sale that advertised a lot of baby items and being that it was warm weather we headed out to see what we could find. As we arrived, it didn’t take me long to realize a laundry rack on her front stoop dressed in colorful cloth diapers and liners. I couldn’t help but to notice that her liners and diapers were… white! When I think cloth diapers I can’t help but to picture them stained and grungy. Nope. Not from this gal. I had questions! It was a young couple with two boys. She told me that they had put both of their kids in CD. So the liners that I’m looking at have been used for 2-3 years and still going strong! I’m impressed. She recommended a diaper sprayer (already decided I’ll register for that because they’re kind of pricey) but to be careful letting the husband get a hold of it because apparently hers sprayed poop all on the walls. Noted. She reassured me that the smell wasn’t bad. Sorry that’s just something I needed to find out for myself (I can’t imagine poop not having a smell). I asked her what laundry detergent she used and she said she made her own. Well, I do too but don’t know that it’s fitting for diapers. Anyway, she said line drying is a must as the sun works as an antimicrobial to work stains out. I can do that for sure! We had an arm load of stuff that we wanted to purchase and she told her husband to go inside and get a certain diaper. He came back out and handed her the diaper. Then she with a smile handed me our first cloth diaper. How sweet was that?! By the way, cloth diapers are not cheap (but cheaper than disposables)! I quickly realized CD properly taken care of will last a long time! We started looking on Craigslist and found out pretty quickly that they really hold their value! We found a lady with an array of Rumparooz. I really like this brand. 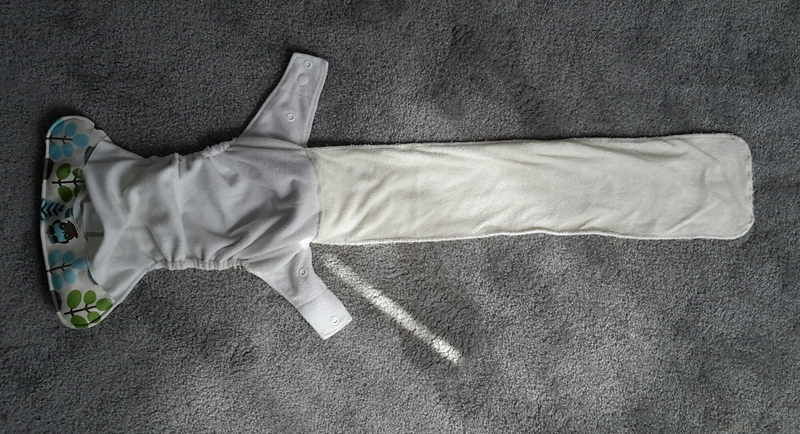 A pocket diaper with a gusset lining to catch any blowouts! We ended up buying four CD and 8 liners. Four of the liners are newborn size and the other four are as your little one (LO) gets bigger. Or the two will snap together for bedtime if your LO is a heavy wetter. Our first purchase ran us at $80. They were a few years old, used with several kids (I forget how many she had), and still only $5 shy from the price of a brand new diaper. Okay, so we saved $20… a saving is a saving. From there, we started purchasing a few from our local Babies R Us. Sadly, they didn’t have a broad selection. I guess we can blame that on supply and demand. 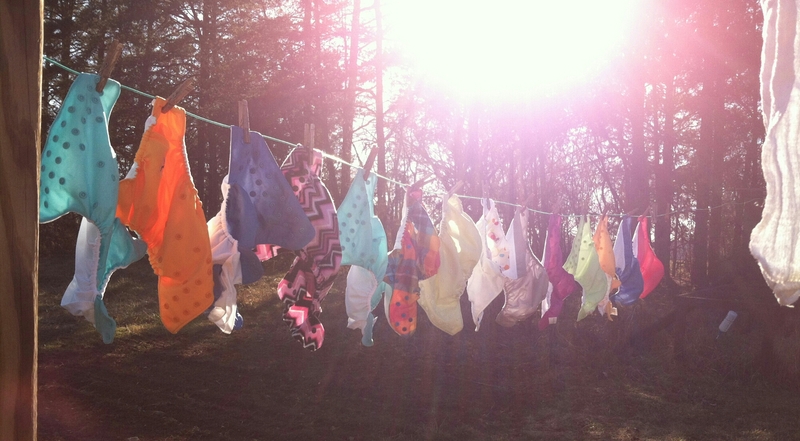 People start cloth diapering! 😉 Thankfully by this time, we had a few gift cards that we were going to use. I’ve read from many blog posts that the bumGenius 4.0 OS (one size) with snap closures are some of the best CD. Good deal because that’s all that they sold. The 4.0 is pretty darn awesome. 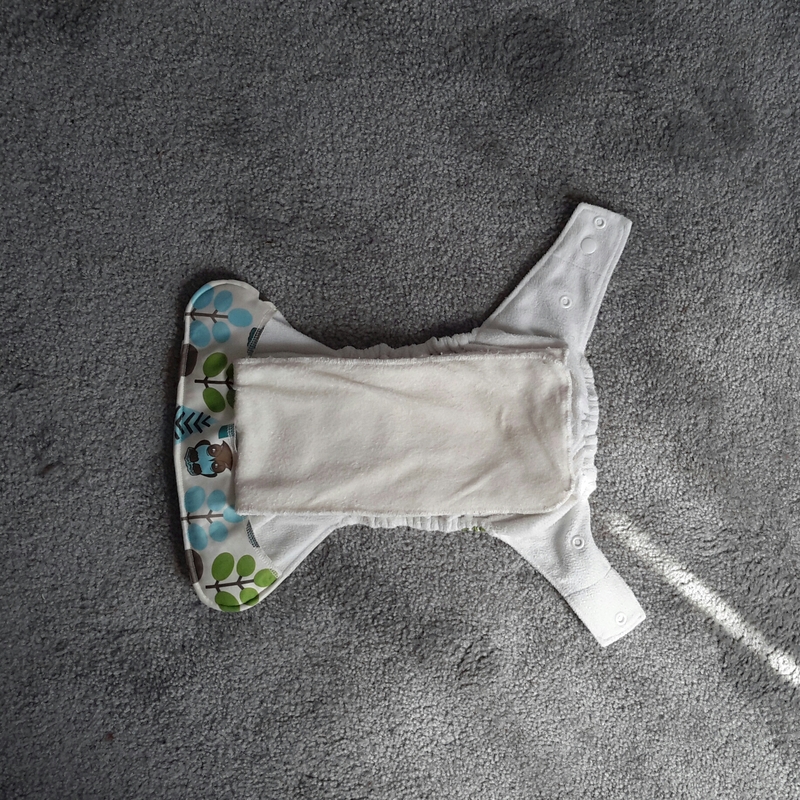 They’re also a pocket-style diaper and will fit newborn to toddler with adjustable snaps. One thing the yard sale lady mentioned was that the velcro closures are nice but they do wear down and lose their stickiness. So I made my mind up and was going snap closures all the way! I also found a lady on Etsy, Momgaroo, that hand-makes CDs that resemble the 4.0. I love the look of her diapers. There’s no telling how many pages of reviews that I read. I kept reading the same things: how well made they are, how well they work, how if you like the bumGenius 4.0 then you’ll like these. They were cheaper than the 4.0 at $39.95 for 3 cloth diapers with organic hemp inserts versus $18 for one 4.0. Mint green, light pink, and white – sold. Just like that. Okay, let’s fast forward through baby showers, CD purchases, and the delivery of our beautiful baby girl. After Oaklee arrived, I was changing diapers way too often for it to be sensible to switch her to cloth. Fast forward a little bit more. She’s 6 weeks and 2 days and I’m doing it! So I’ve been doing this for a week now and would you believe me if I said that it really isn’t that bad? In fact, I really enjoy cloth diapering. All of ours are one size pocket style that should fit our LO from newborn to toddler with the adjustable snaps in the front. With the new diaper inserts, we had to wash them several times for them to reach their full absorbency potential. Here’s how it works: you stuff your insert (I’m currently using newborn) into the pocket. With most brands when you purchase a diaper you will get two inserts, one small and one large. The two will snap together for your heavy wetter or you can use them separately (like I said earlier). Okay, so it’s stuffed and sitting pretty on my changing table…waiting. It’s time! Now what? It’s simple, you use them just like a disposable. I take off the soiled and replace it with a clean CD. I take the dirty diaper to her bathroom where we have the diaper sprayer hooked up to the tank of the toilet and our $1 food grade container (our wet pail) in the tub. Slip on some heavy duty gloves and I’m ready to go. I unsnap the front of the diaper so when it goes into the pail it’s ready for the washer. Then I pull out the insert and spray it off then wring out the excess water and toss it into the pail. Lastly, I get the CD and put my hand into the pocket and hold it in the bowl and spray, wring, toss. It’s pretty simple especially if you don’t mind a little extra work. With me being a SAHM, there’s no reason I shouldn’t be able to do this. I wash diapers every other day. I have them all unsnapped and back to their original state. I throw them and the liners in the washer with using 1 scoop of bumGenius diaper detergent. There are many approved detergents but being that I’m new to this, I didn’t want to make a mistake. So I went with what was recommended. **Do not use additives** You spend way too much money on these to ruin them; so no vinegar, no baking soda, and no fabric softener. However, it is recommended that you use 1/4 cup of bleach through your hot cycle once a month. Her diapers are in the wash, detergent in the drawer, now pre-rinse (no spin needed), hot wash, rinse, extra rinse and spin. You can tumble dry your inserts but your CD should never go in the dryer. 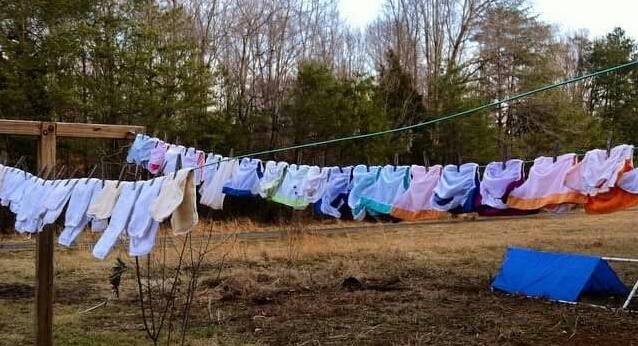 If you can’t hang them outside on a line hanging them in your laundry room should do just fine. Having said that, you should now have clean diapers and one happy baby! 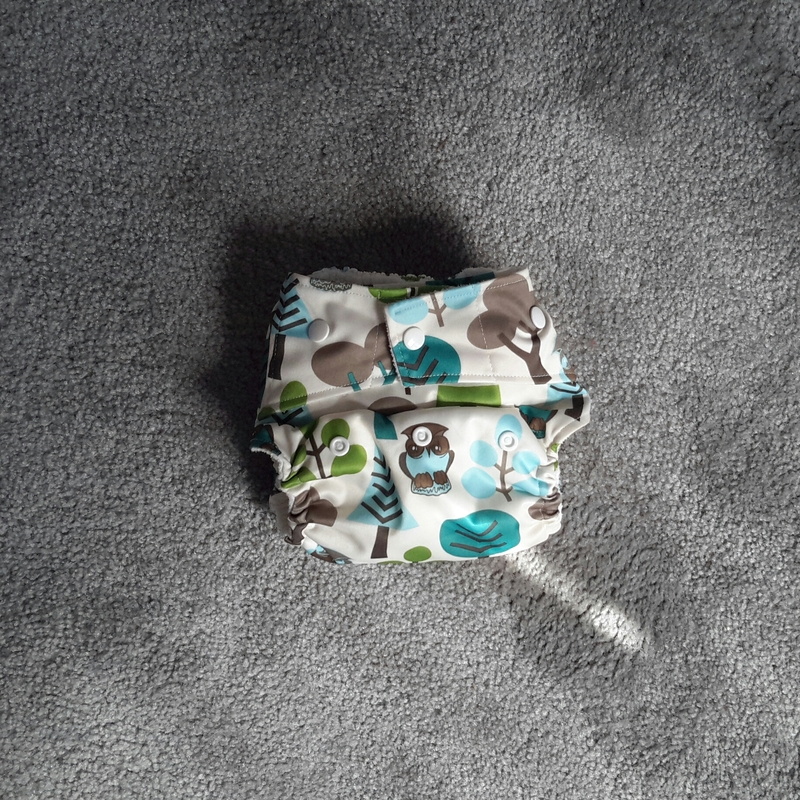 By cloth diapering, it’s an initial investment for sure but in the long run you should save quite a bit of money (that will be another post). Not to mention you already have your diapers for your next LO! 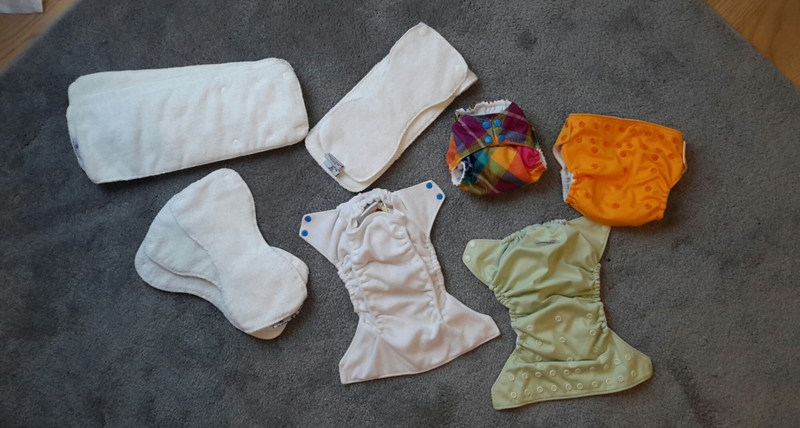 After a week of cloth diapering, I couldn’t be happier with each brand of diaper. Not one has let me down. Each rinse out easily, fit snug around the thighs, and we haven’t had any blowouts. We were leaving to visit family in Norfolk today and we decided that disposables would be better since we were traveling for the weekend. She has had two all but blowouts and her bottom is already red. Take my word for it. CD are worth the money, time and effort that you invest in them. Get a few and try it out. Heck, if at that point you decide it’s not for you, you can sell them. You already know they hold their value! After the wash they are clean, looking good as new, and the only smell they have is clothes line freshness. Huh, I guess the laundry wasn’t so dirty after all. < Previous Welcome to our homestead! Next > What the Cluck? Awesome, we use BumGenius one size as well. Aren’t they amazing?! Momgaroo on Facebook is actually having a buy 3 get 2 free sale right now. These are the ones that are made similar to the 4.0 OS. I took advantage of that deal! 5 for $39… not bad!